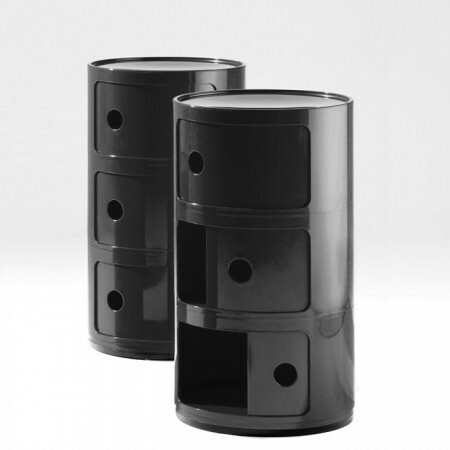 The storage furniture from Kartell Componibili there are round and square and they can also be supplied on rolls. Flexible, functional and practical: The Componibili are a design classic with almost forty years of tradition that has gained a lot of recognition because of the conciseness and innovation of design and long rolled into the permanent collection of the Museum of Modern Art in New York and the Centre Georges Pompidou in Paris 's. Related links to "Componibili round, 3 compartments"
Customer evaluation for "Componibili round, 3 compartments"